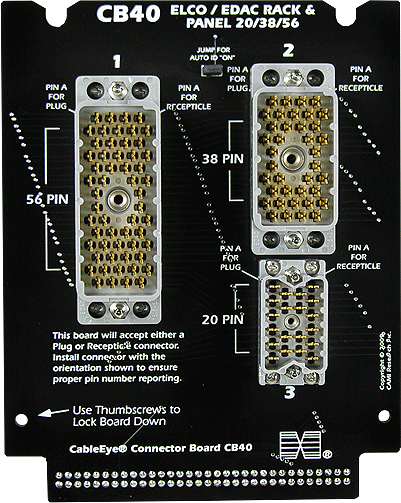 Three connector positions provided on this board will accept either a male or female 20-, 38-, and 56-pin Elco/Edac Rack & Panel connectors. The price does not include connectors, and the board ships as a bare board. If the User provides the connectors, we will solder them into position and test the boards for a nominal charge (contact us for details). Set of two boards. Board shown with User-supplied connectors mounted.